The youngest member of Swagtron hoverboards family is Swagtron T5. His precedents, Swagtron T1 and Swagtron T3 are already well known among hoverboard lovers. After T1 and T3 models one should expect that Swagtron T5 is an ultimate Swagtron achievement with real ride thrill and satisfaction. But, actually it really isn’t. Its more designed and oriented to beginners or first-time riders, especially because it has learning mode. 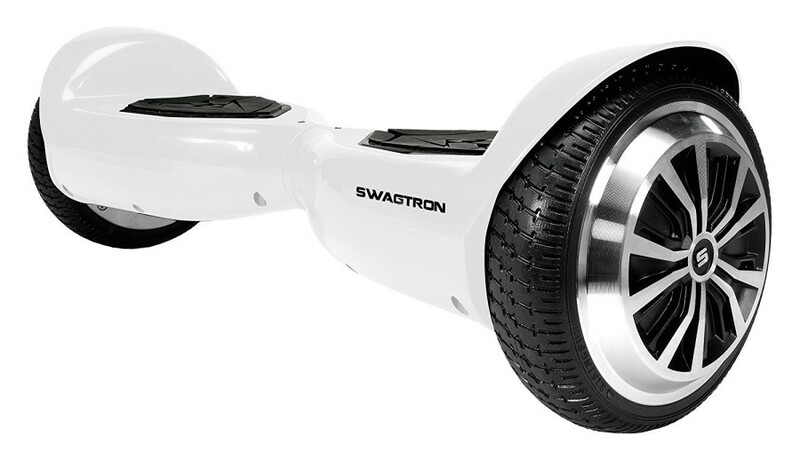 However, this is the cheapest Swagtron hoverboard on the market. How they managed to offer lowest price than for the Swagtron T1 or Swagtron T3 models? Well, you probably guess, the producer had to cut some features out of this model so it could be more competitive to cheap generic models present all over the market. It doesn’t mean that they discarded the quality, quality is still present only with fewer additional options. The design of Swagtron T5 is similar or even same as at Swagtron T1 but with less color variations, only black and white options are available. You should remeber that all quality hoverboards are UL2272 certified and Swagtron T5 has UL2272 certification and Swagtron SentryShield Multi Layer Protection Technology (battery chamber) is under new UL2271 certification. These certificates are here to guarantee to the buyer the quality of scooter and batteries and ensures the buyer that its not a fire hazard. On the other side, this model has maximum speed of (only!?) 7 mph with 7 mile range and incline capability of just 15° (comparing to 30° at T1 and T3 models). Also, the maximum weight of the rider is just 187 lbs or around 90 kg. Inside the box you will find 1 Swagtron T5 hoverboard, 1 AC adapter, 1 power cable, 1 waranty card and 1 user manual. 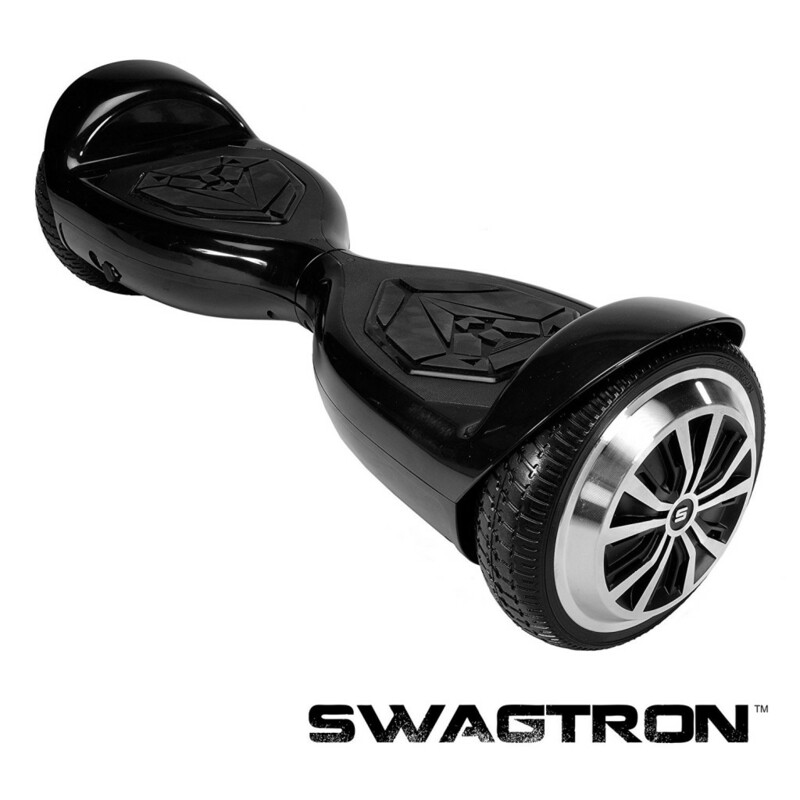 At the moment you can find Swagtron’s T5 equivalent (Hoverzon xS) available on Amazon. 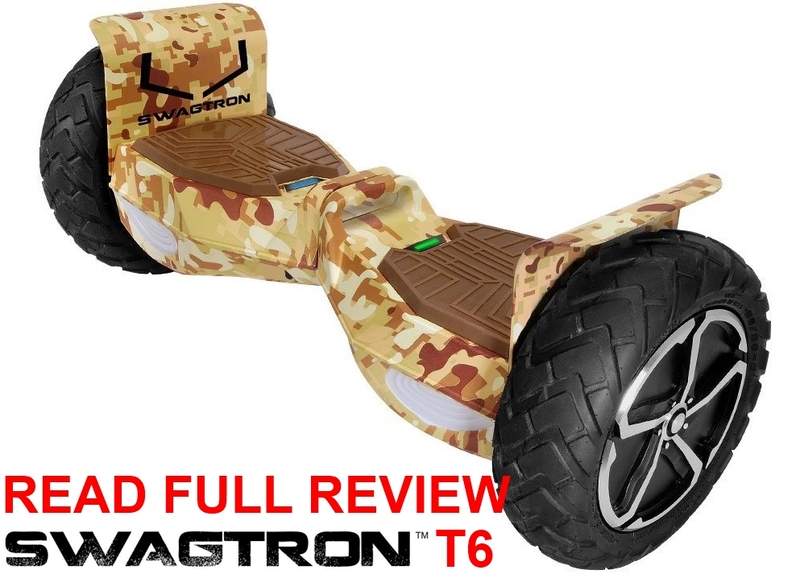 It has same design and characteristics like Swagtron T5. If you have bought Swagtron T5 you might be experiencing one problem concerning turning off (or on) your self balancing scooter (and constant annoying beep sound). Why is this happening? First possibility is that you might have a slight problem with wiring system under the cover of your Swagtron T5 hoverboard. Or more precise, there is a possibility that wires are not correctly connected to logic board inside hoverboard (wires connecting power button and logic board). If this is a case you should uncover the hoverboard, plug the wires off the logic board and then plug them back in (check this video for explanation – just have in mind that this is an amateur video). But, we think that second possibility for this glitch is more probable. Since this is the cheapest Swagtron among Swagtron hoverboards they are using cheaper components including cheaper logic board. If the problem is in the logic board you should replace it with more quality logic board (check this video to see how to change logic board on your hoverboard). Prices and different logic boards for hoverboards you can find here. We hope this will help you. However, our best advice is to buy more expensive Swagtron like Swagtron T3 or other popular hoverboards which are not experiencing this glitch like EPIKGO, InMotion MoHawk Prime R6, Hoverzon, Skque etc. For detailed reviews of mentioned hoverboards check out our Hoverboard Reviews section. I purchased an item and they promised me will send the item before Christmas and now they say will be for the 27th !!!!! horrible I called to (574)968-3345 is for Stephen K.
He reports to the President of Swagtron and is the direct supervisor for #Swagtroncares and satisfaction@swagtron.com and the answer is apologized for the delay they never shipped my item until yesterday??? And I bough the item 12/12/2016 terrible company and customer services. This is the reason why we prefer buying at Amazon. During my studies I bought most of my books there. I buy shoes there and pretty much all the gadgets. I purchased a t5 for my daughter and now we can’t get it to turn off. She only used it a few times. I figured I would just let the battery drain but after about 10 minutes it just starts beeping. Very frustrating! I’m having the SAME problem as Susan Scott. Can’t turn ours off. Once it starts beeping, it’s hard to get it to stop! We updated the article with a video that might help you with this problem. Same situation, wont shut down, blue light stays on then starts beeping, wont stop until you get on it, but then starts beeping again after awhile. Did anyone figure out the problem? Admin:: I bought a swagtron for my son. It won’t turn the light off. I unplugged the battery and dos what the video showed me. And it still stays on. Not the battery. You should unplug power button off the logic board and then plug it back in. Other option is to replace the logic board and see if this will work. More detailed explanation is in the updated text. I’m actually have the opposite problem. I rode it this morning for about 45 seconds and it just turned off on me, now I has charging it for about an hour prior but did not look to see if the LED light on the charger was orange like usual, now when I plug it it, the LED light remains yellow and there is no indication that it is charging. I then pressed the power button the board beeps and flashes blue for about a second and now on the right side I only see a solid orange light. Any help? Try if any of these fits. We need help!! The stupid thing is beeping none stop, along with a blue light on. I was told to get a new battery for it along with resetting the power button. I have no idea how to do that or where to get a new battery. I just bought this board for my son last month and he only rode it 4x for 15 to 20 minutes each. I thought i would have got more than that for my money!! So frustrating. Can anyone help me? We have explained in our review what might be a problem about constant beeping and blue light. Check inside the text. You probably have logic board issues (in case everything else is in its place). Santa Brought my son the hoverboard. After he fully charged the board he rode it once and it never charged again. I took back to Best BUY and they exchanged the board. My son has used the board for about a month and only indoors due to the winter. Now it does not hold a charge. I called the company they send me a retrun authorization number to send it back but now I have to pay for shipping on something that has manufactured poorly. I would not recommend this company to anyone. I have one and it is horrible the charger broke and it keeps beeping. Take a look in article about what may cause that problem and how to solve it. Swagtron does not stand behind it’s product. You cannot buy a repalcement battery, so basically this thing is disposable. I have a Razor 2.0 as well and you can get parts, batteries and the quality is 10x the swagtron. The simple fact you can’t get a battery is absurd. Why sell something you have no intention of supporting. Stay away from this hoverboard.